First published in 1998, this volume focuses on increasingly important aspects of research activity by analysing the various development and dissemination projects undertaken at Dartington during the last 15 years, setting out the evidence for their success or failure and then suggesting a strategy for others who may wish to develop their work by similar means. 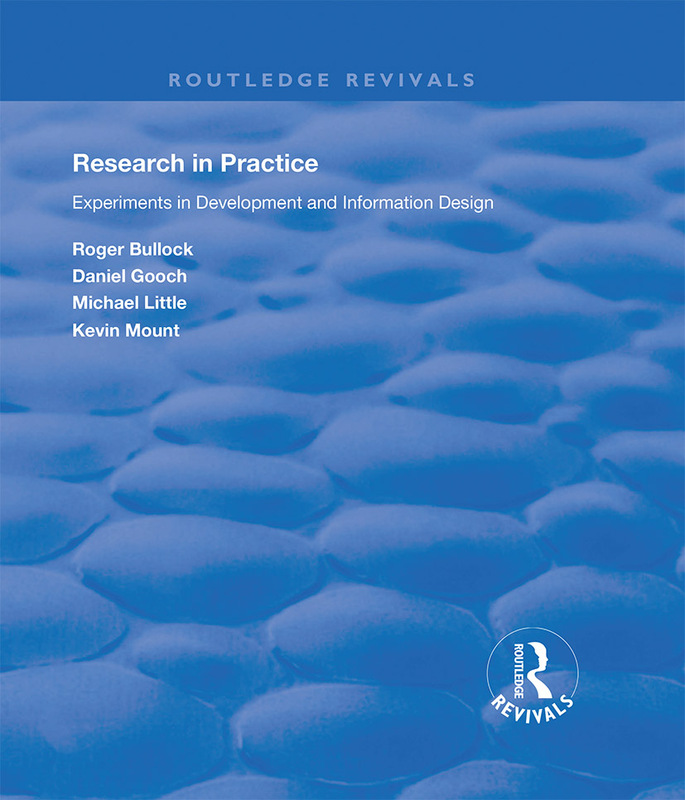 It introduces researchers to the language of information design, designers to some of the complexities of scientific research and looks forward to a research climate in which new knowledge and new practice spring from the same solid theoretical ground. Methods of disseminating the findings of social care research have changed radically in recent years, but little is known about the effects of the process on policy and practice. Professionals may have access to more information but do they understand it? Do they use it? Does it affect their practice? What difference did Going Home make? Where do social workers get their information?